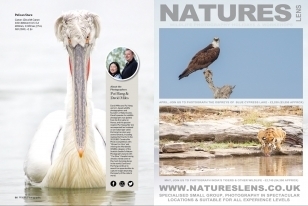 Contributions from the members of the NaturesLens guiding team are often featured in magazines, newspapers & online; small double-page articles, larger multi-page articles & front-covers of magazines have been published & feature the work of our team members. 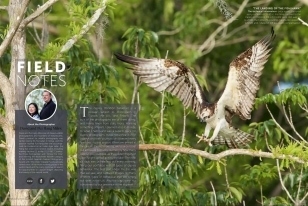 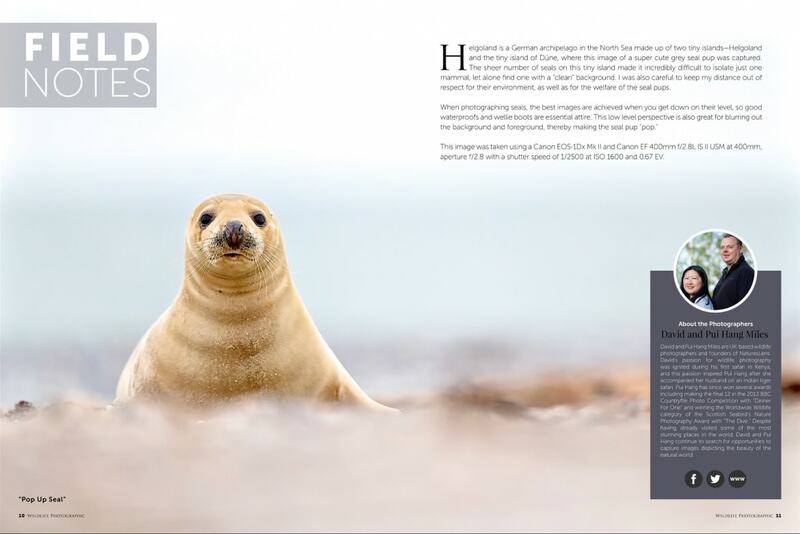 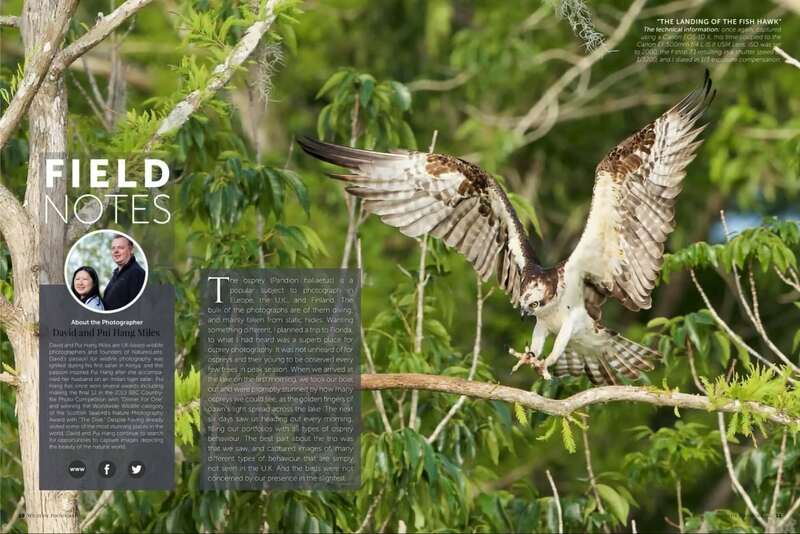 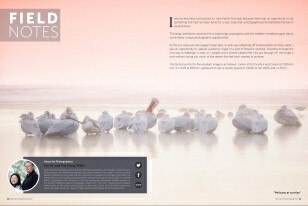 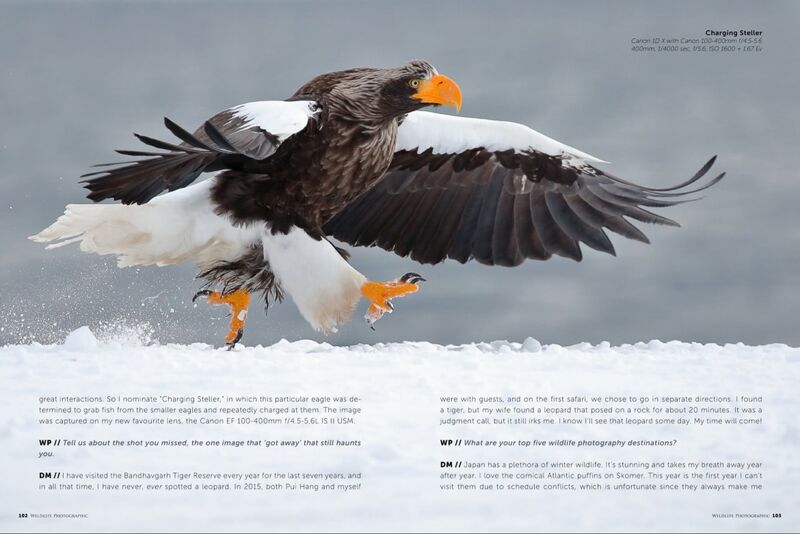 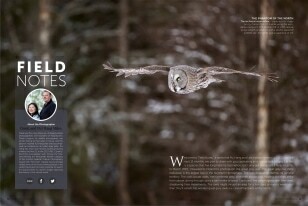 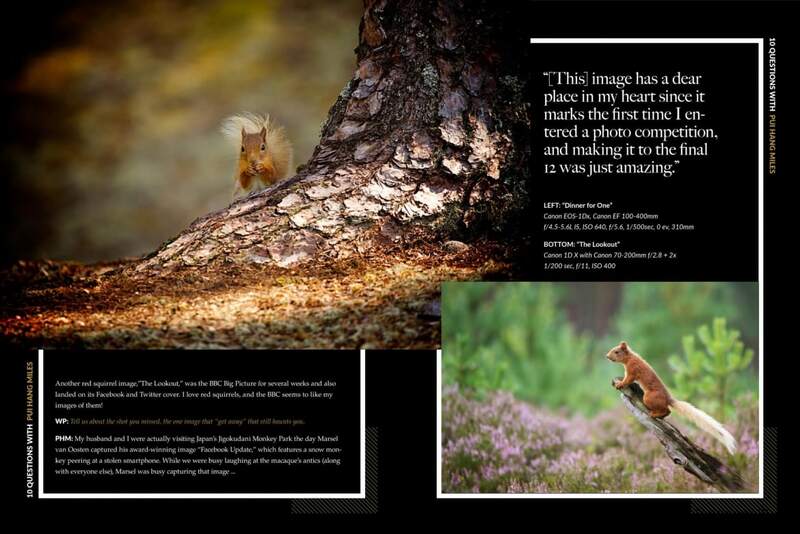 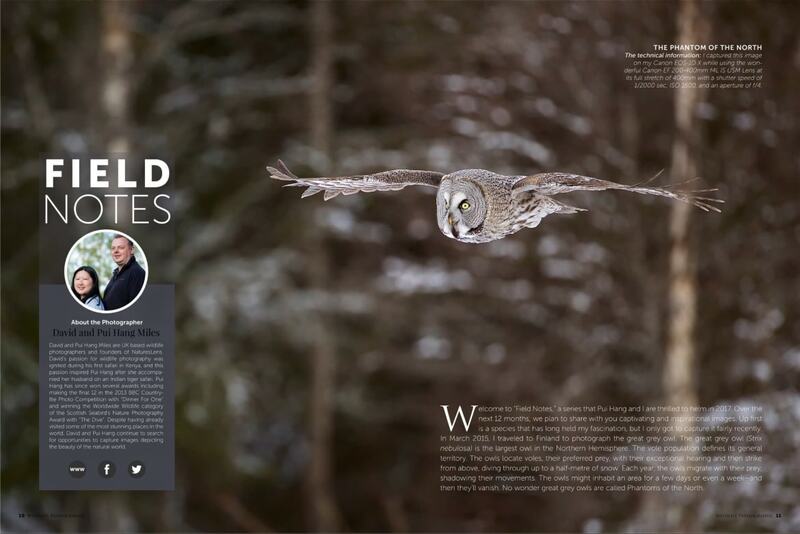 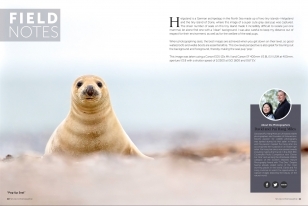 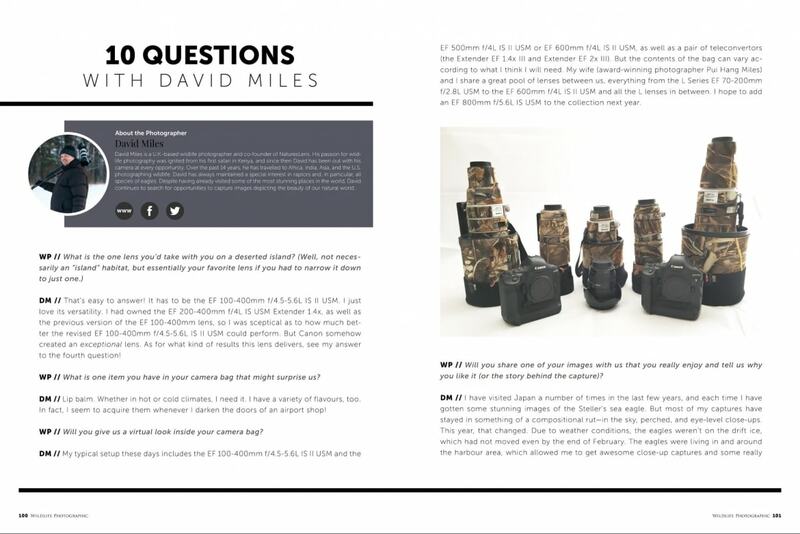 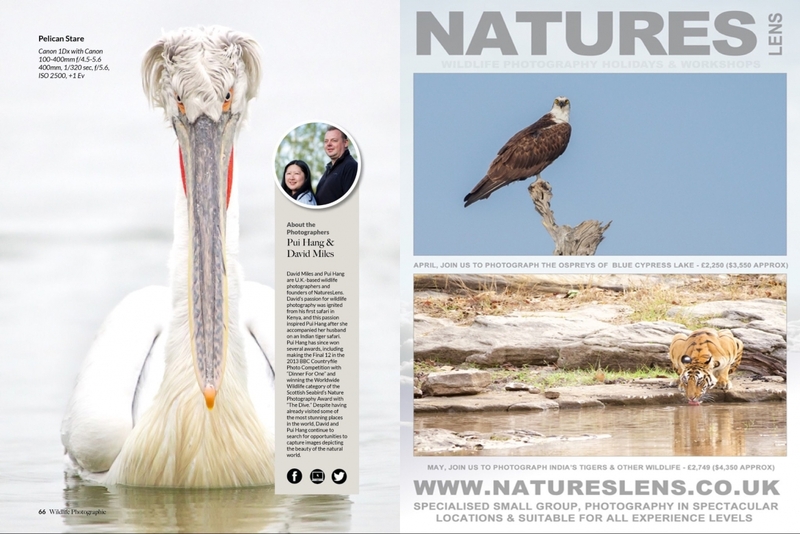 For the last 18 months, David & PN have been contributing a regular feature to Wildlife Photographic Magazine in the form of a selected image, which is featured across a double spread, a few words accompany each image with technical settings & the location where the image was captured. 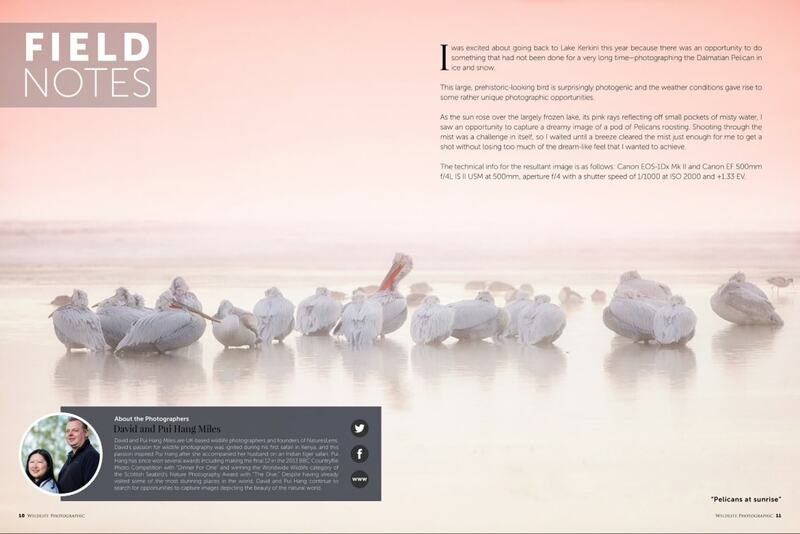 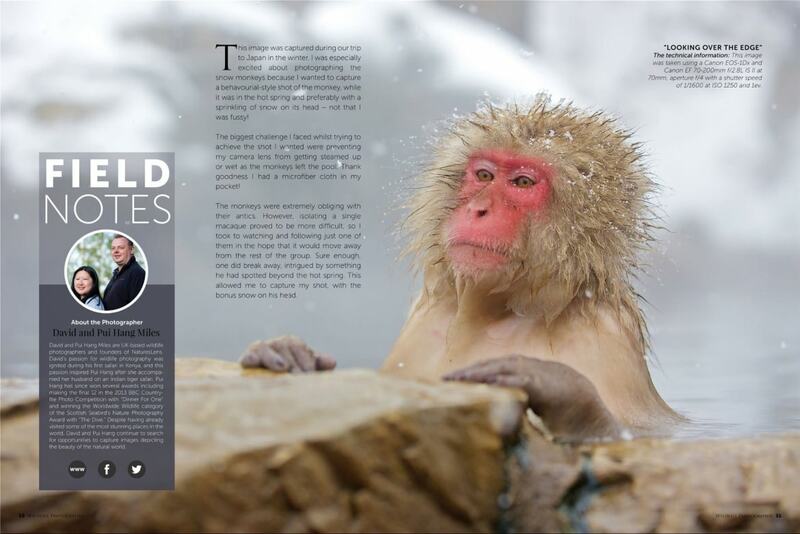 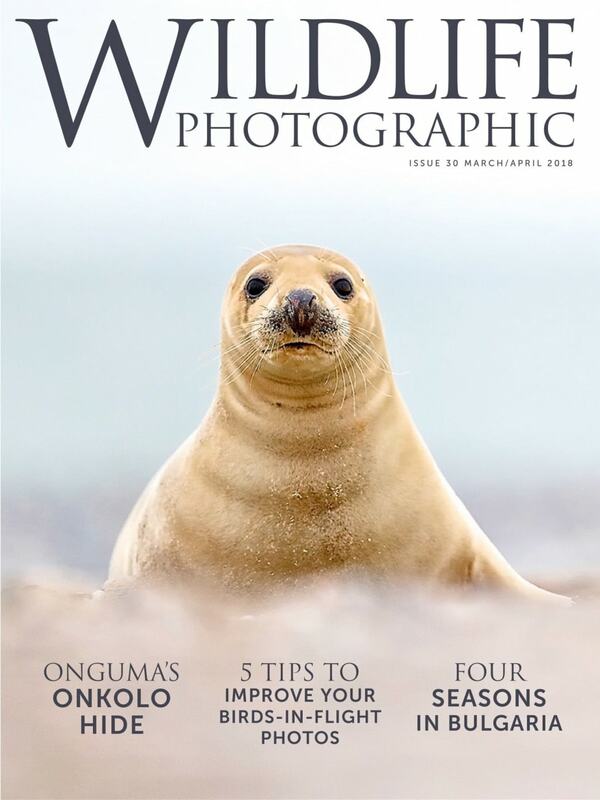 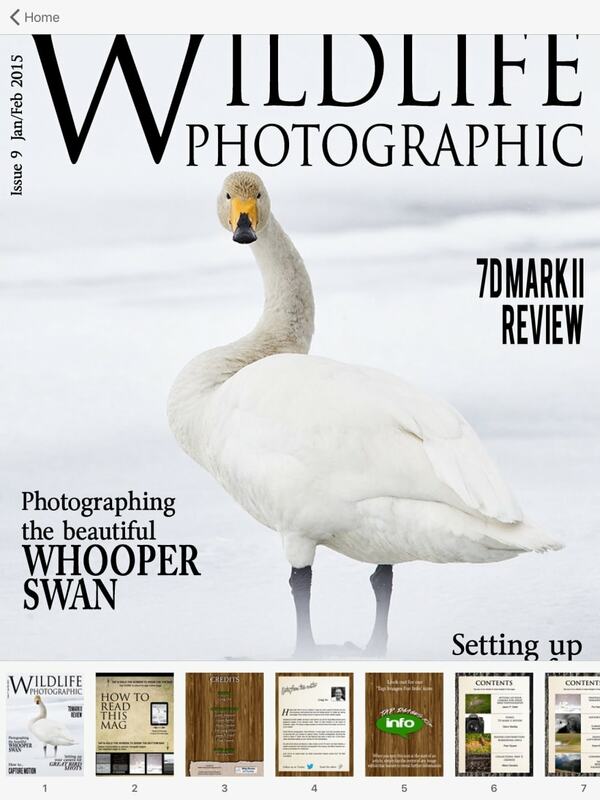 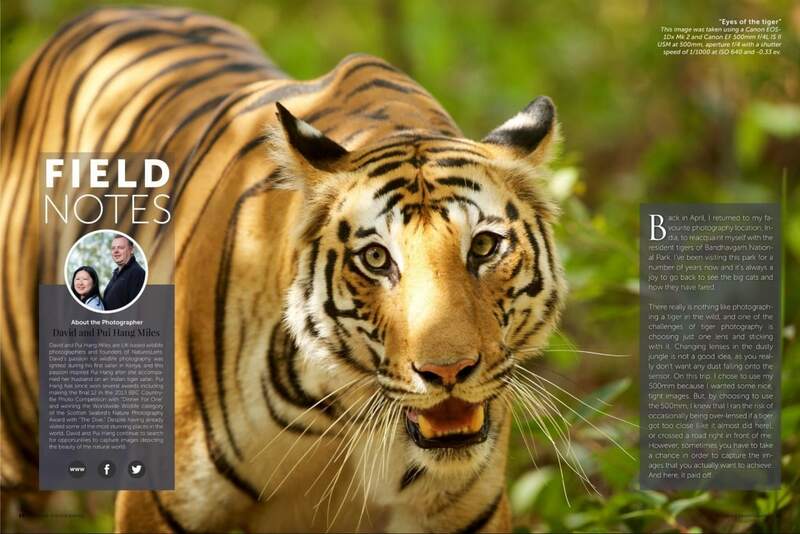 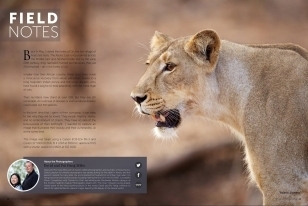 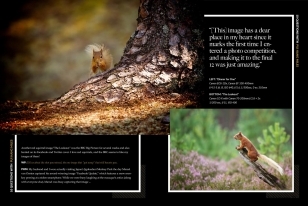 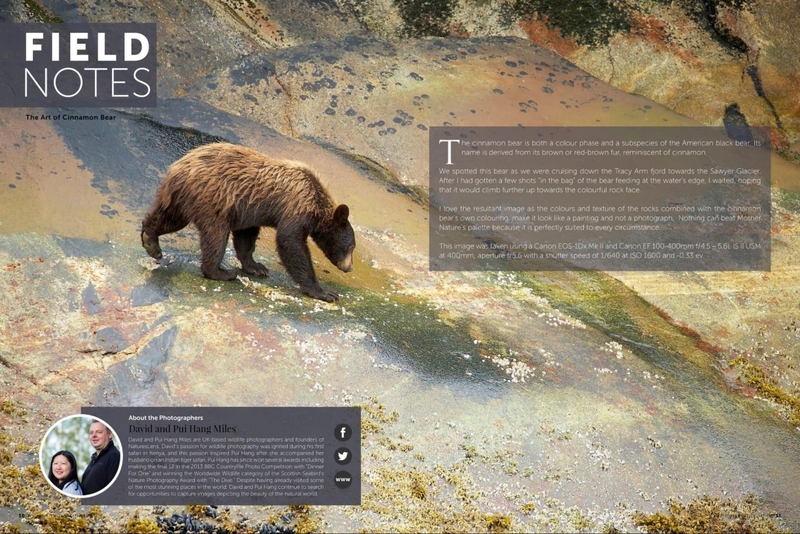 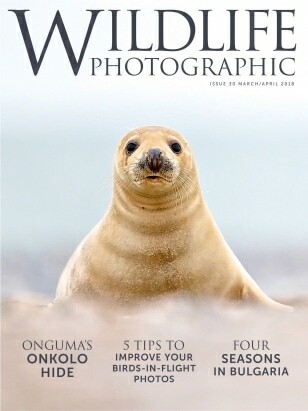 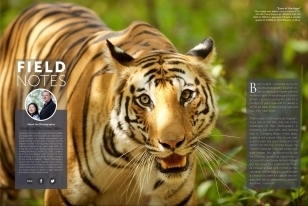 We are delighted that some of our images have been selected to grace the front cover of Wildlife Photographic, an interactive digital magazine published by Apple’s Newsstand. 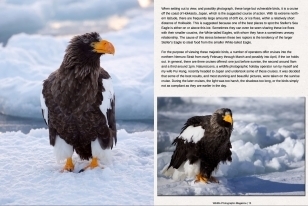 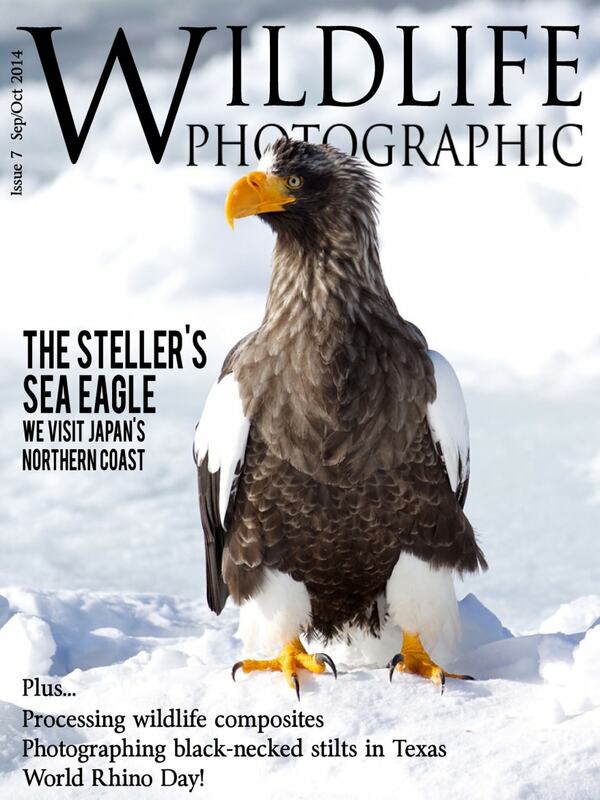 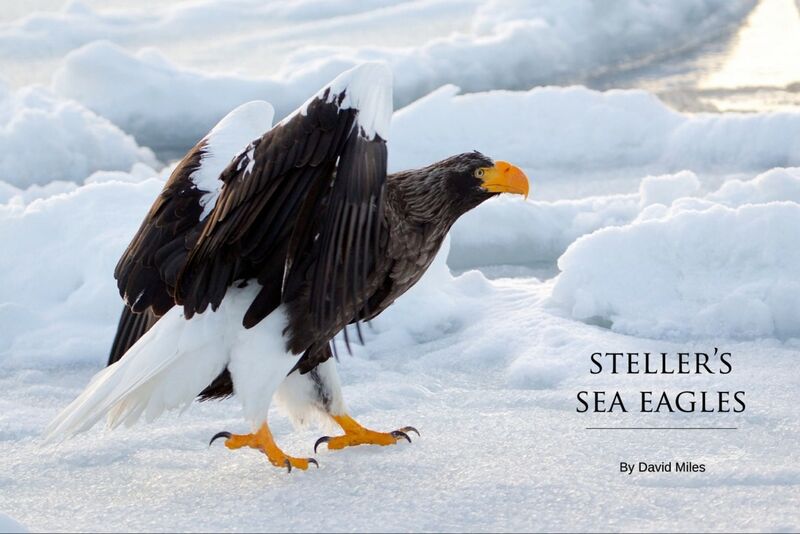 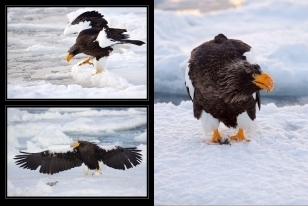 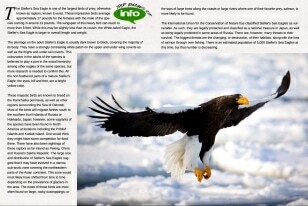 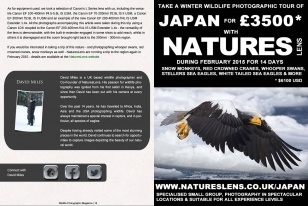 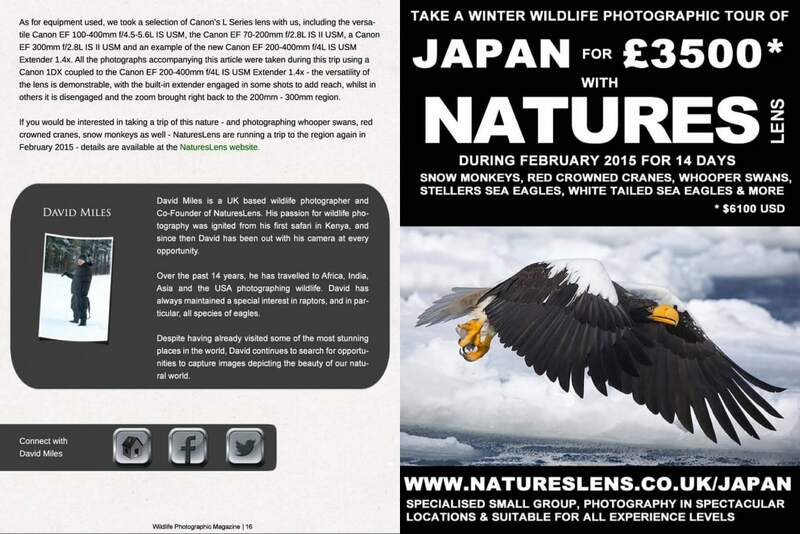 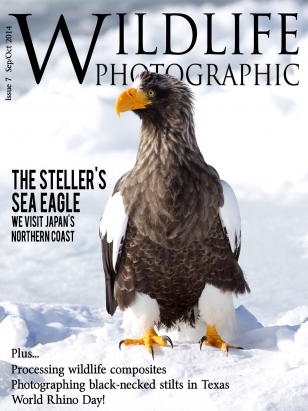 A species spotlight on the Steller’s Sea Eagles complemented with images taken during our Japanese Winter Wildlife Photography Tour. 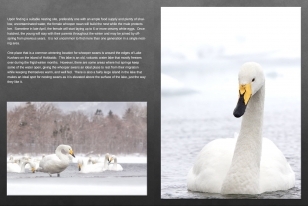 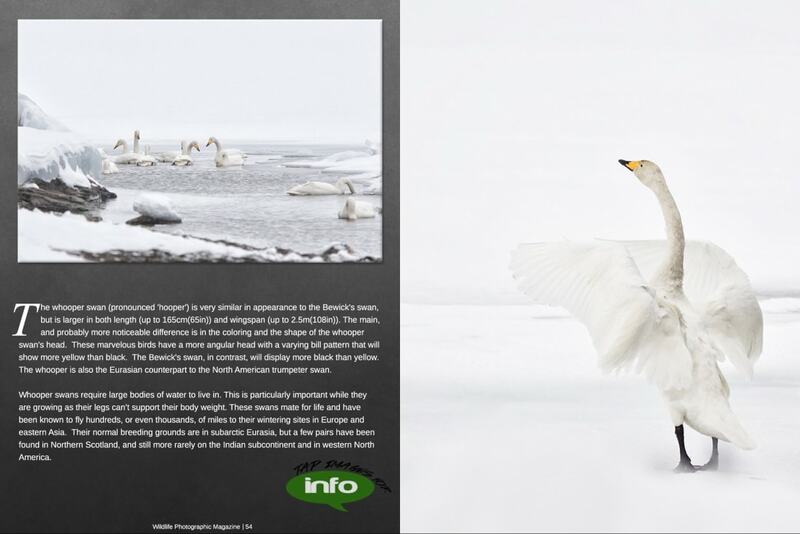 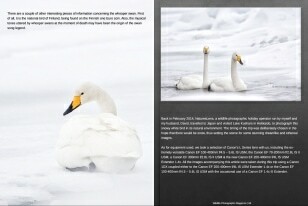 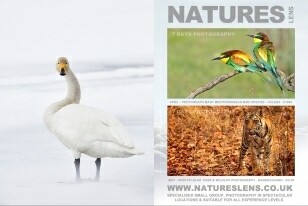 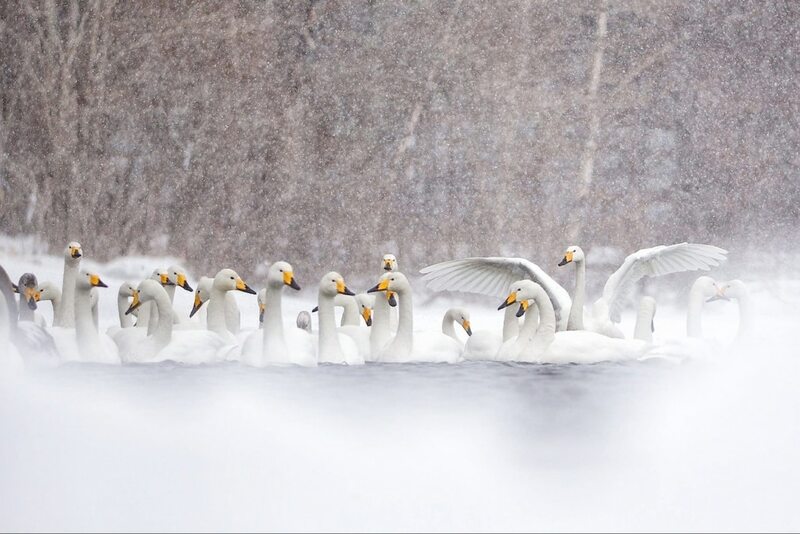 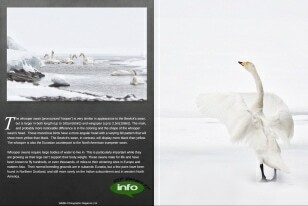 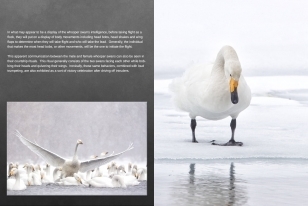 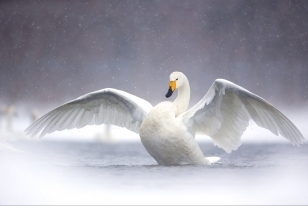 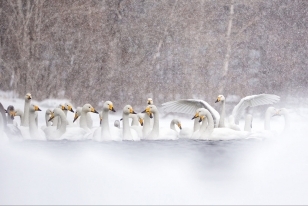 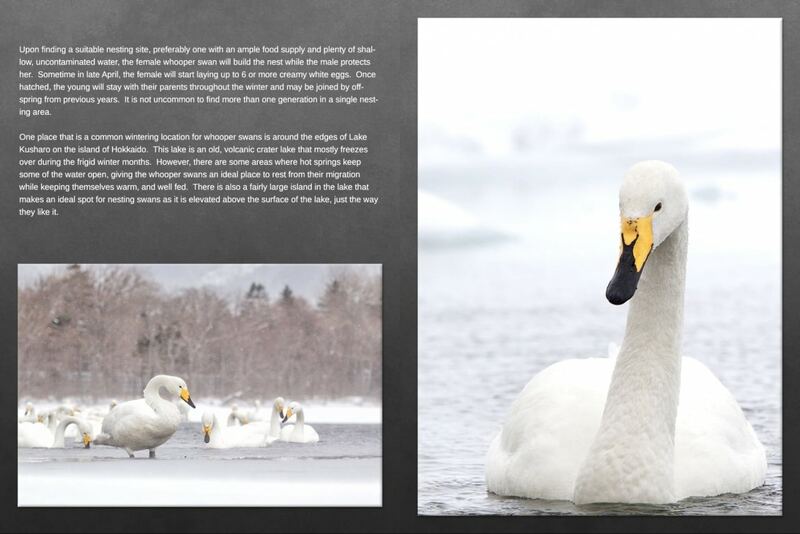 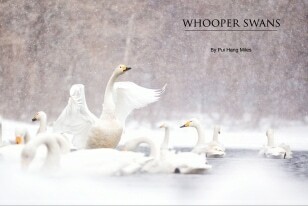 A species spotlight on the Whooper Swan with images taken during our Winter Wildlife Photography Tour of Japan. 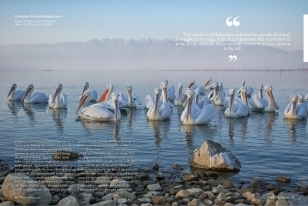 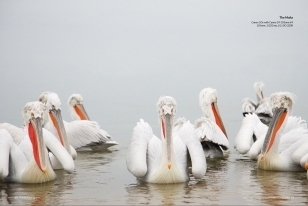 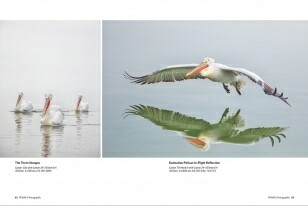 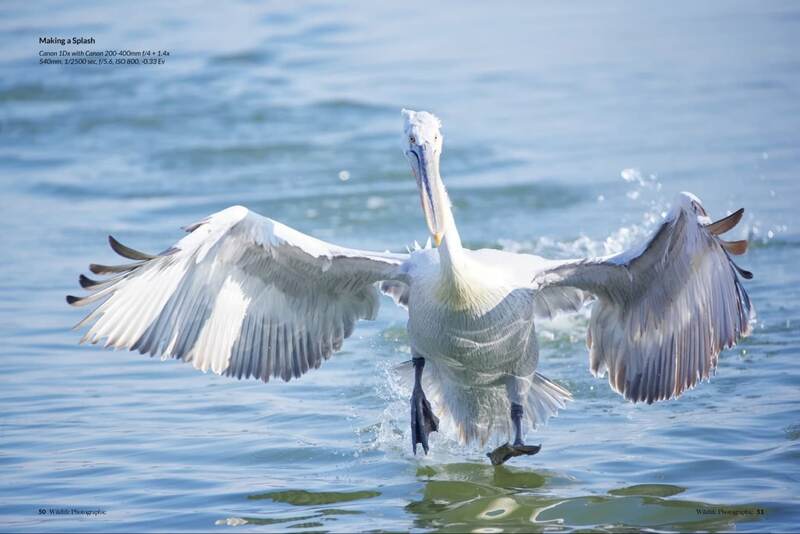 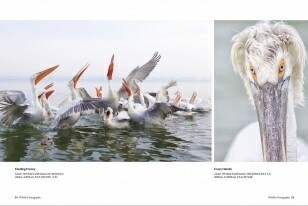 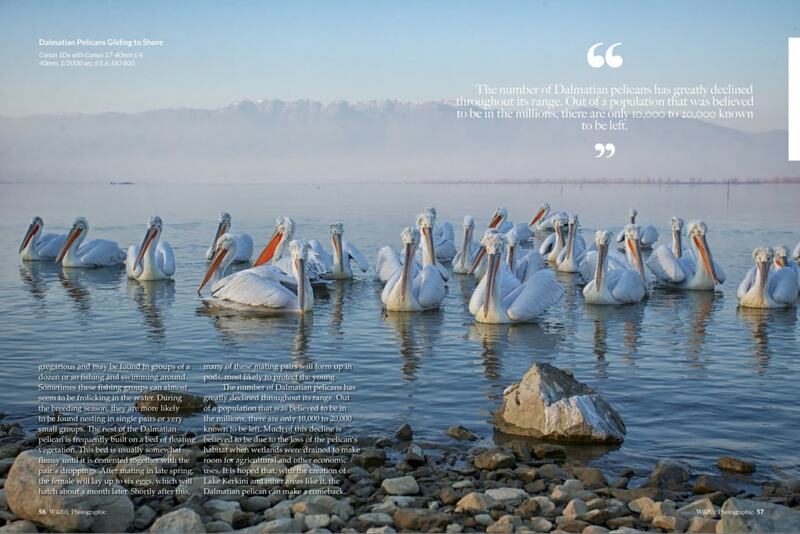 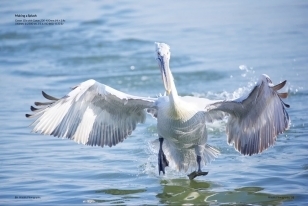 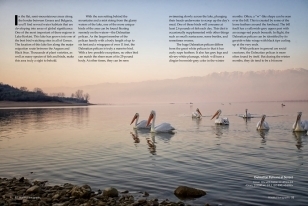 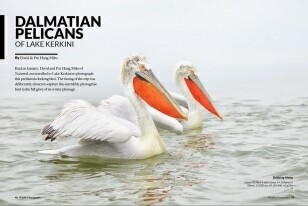 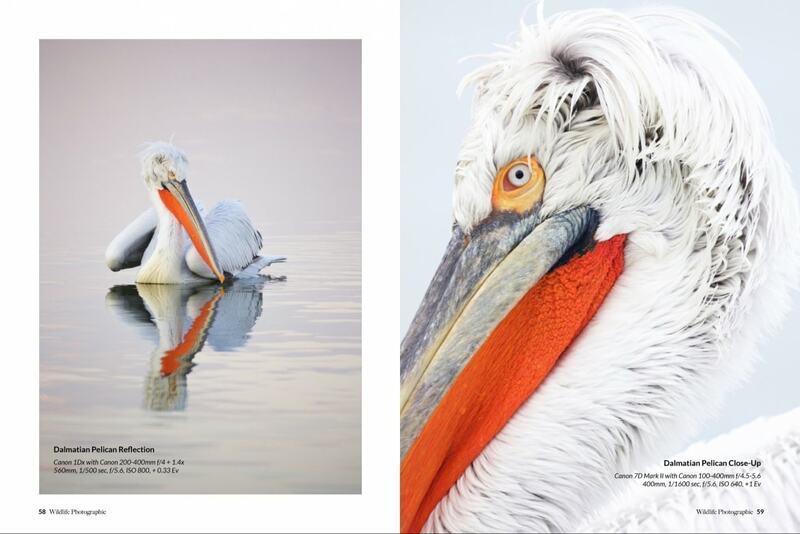 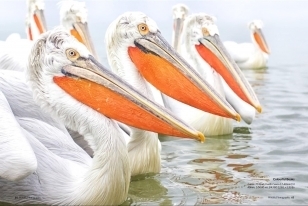 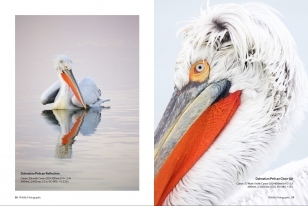 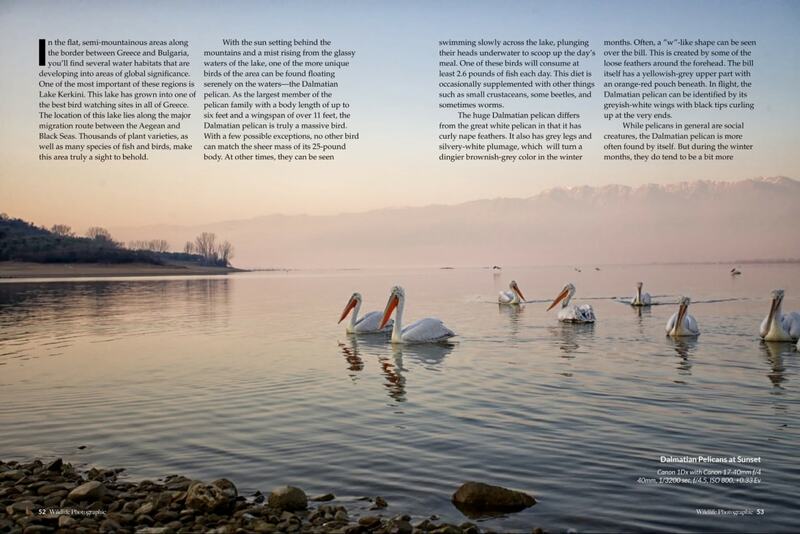 A species spotlight on the Dalmatian Pelican featuring images taken during our popular Dalmatian Pelicans of Lake Kerkini photography tour. Bill Gozanksy interviews David for Wildlife Photographic. 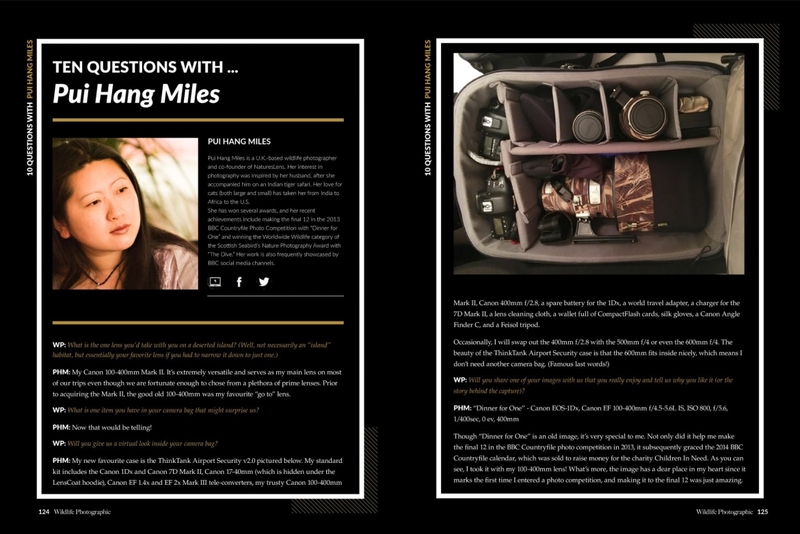 A quick-fire interview with Pui Hang with a sneak peek into her camera bag. 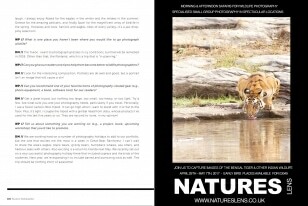 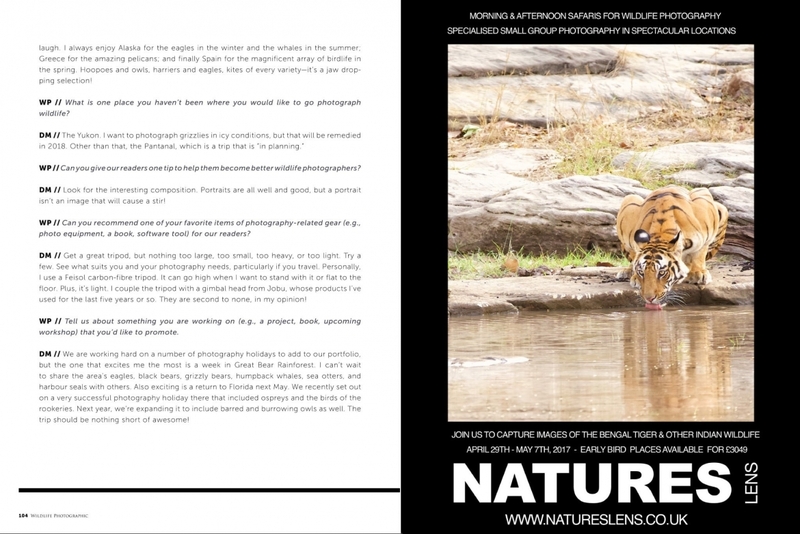 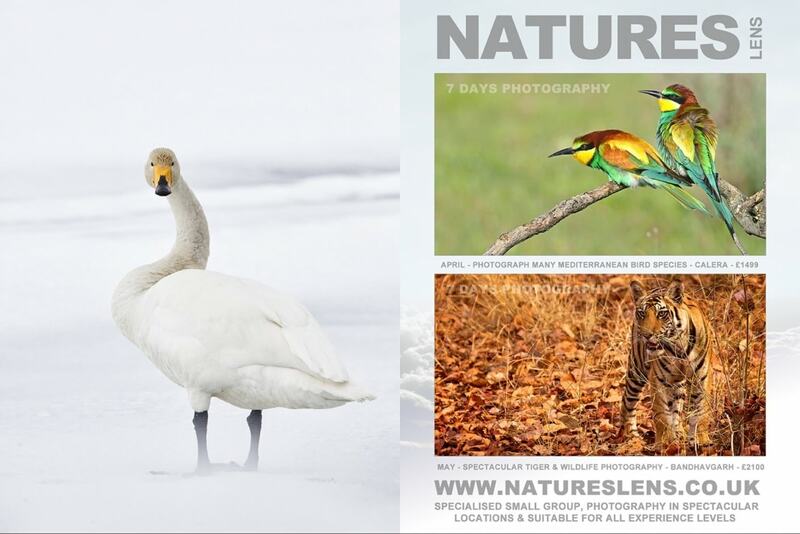 Whatever your query regarding our photography holiday, NaturesLens featured in Print & Online, please fill out your details below & we will get back to you.